Yeast management is fundamental to brewing good beer ... We're looking forward to bringing some of the most well-respected experts on brewer's yeast in the nation to Helderberg Brewery and the Carey Institute. All small-scale breweries and homebrewers interested in expanding are invited to attend Helderberg Brewery Incubator’s Yeast Management Workshop at the Carey Institute for Global Good March 11–13 in Rensselaerville. 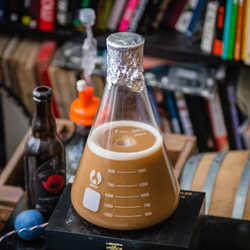 The workshop will explore the ins and outs of brewer’s yeast, including wild and cultivated fermentation. Featured speakers include Neva Parker, Vice President of Operations at White Labs—the country’s premier supplier of brewer’s yeast; Hutch Kugeman, head brewer for Brooklyn Brewery at the Culinary Institute of America; Derek Dellinger, head brewer at Kent Falls Brewing Co.; and Rich Michaels, manager of quality control and innovation at F.X. Matt, known for their Saranac line of beers. Yeast is often overlooked in conversations about brewing, as hops and grains are more well-known ingredients. However, yeast offers more opportunity for innovation and flavor differentiation than any other component of beer. By leveraging yeast, brewers are able to craft better, more unique beers. The intensive weekend event will feature in-depth workshops, networking, tastings, a panel discussion and a tour of Helderberg Brewery. Topics to be addressed include yeast handling and care; cell counts and pitching; microflora and spontaneous fermentation; best practices for handling brewer’s yeast; and more. Helderberg Brewery Incubator is an initiative of the Carey Institute for Global Good’s Sustainable Communities program.